"Over the holiday, I will make that decision with my family," she told Mika Brzezinski at the Know Your Value conference in San Francisco on Saturday. 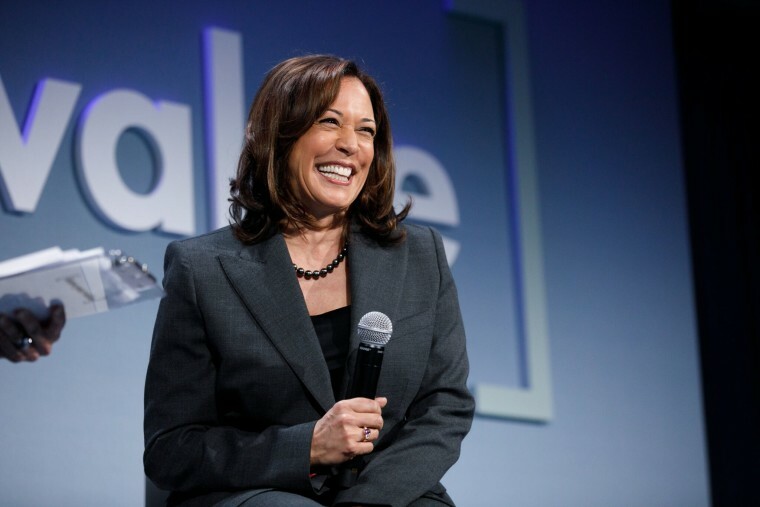 Democratic Sen. Kamala Harris of California announced on Saturday that she will make a decision about whether she will launch a presidential bid in 2020 by the end of this year. Harris, whose husband joined her in the audience, said she is keenly aware of the challenges a barrier-breaking campaign will entail. Harris also expressed frustration over the slow progress of the Secure Elections Act, which she introduced in March, along with co-sponsor Republican Sen. James Lankford of Oklahoma. The bipartisan legislation would give the Department of Homeland Security responsibility for ensuring secure elections and shoring up election infrastructure against cyber attacks, and would establish an independent advisory panel of experts to develop guidelines on election cyber security. Republican Sen. Mitch McConnell, who currently serves as the leader of the Senate, has not yet brought the legislation to the floor for a vote. Harris said she has been told that is at the White House’s request. Harris also addressed the legacy left by former President George H.W. Bush, who died Friday at 94.